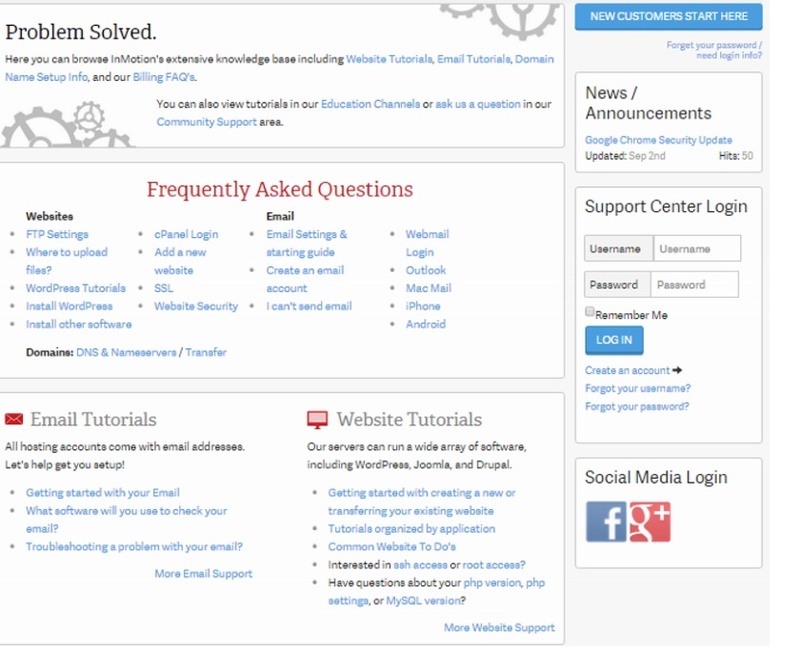 InMotion boasts strong service and the specialized know-how to support your website. With a focus on businesses rather than individual consumers, the company handles the technical side of your online project so that you can spend more time with your customers. Dedicated to technical excellence and great customer support, InMotion is a growing force in Web hosting. Although very affordable (plans start from $6.39 per month), this is not a budget-hosting service. 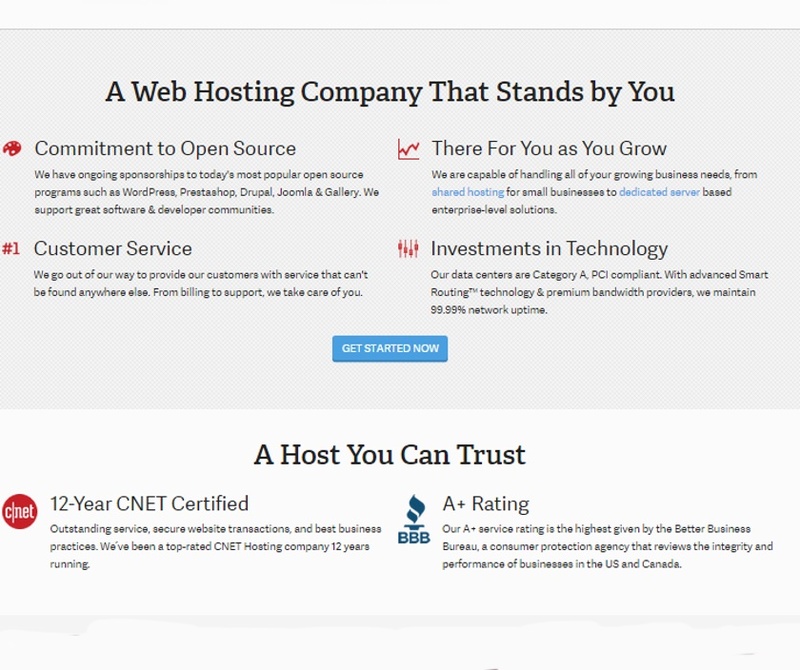 InMotion Web hosting goes far beyond simply providing a platform for your website. If you're looking for an adept host which offers industry-leading page loading times and 5 different ways to get the support you need, this is a worthwhile investment of your hosting budget. With Inmotion you will receive a 90-day money back guarantee if you order the business, VPS and reseller hosting packages. All Dedicated Servers and monthly billed VPS and reseller hosting packages are eligible for a full refund for 30 days. Right off the bat, it is clear who is not an ideal customer for this particular company. Individual users looking to set up an InMotion domain for a blog or portfolio might feel a little insignificant and perhaps unable to find the personal support they may need. The truth is, InMotion goes after businesses. Its VPS and dedicated hosting packages are well-equipped and competitively priced. The overall value for an InMotion WordPress site holds up well within the industry. Such a platform runs smoothly on the company’s more premium hosting plans. I would have no trouble at all recommending InMotion hosting to any medium-sized to larger business looking to establish or migrate an online project. The company has advanced technology to grow with your business, a vast knowledge base for user collaboration, and a toolbox that is the stuff of developers’ dreams. The 100 percent satisfaction guarantee, CNET Certification, and A+ Better Business Bureau rating doesn’t hurt, either. All shared hosting packages also include unlimited disk space, monthly transfers, domains, and no-downtime website transfers. The Pro Plan and Power business hosting plans allow for smooth Ecommerce integration and the Pro plan allows unlimited parked domains and subdomains (Power allows 26 and 100, respectively). Here are some key technical and marketing InMotion hosting features. Presented as a good option for users of all skill levels, this is InMotion's basic and most affordable package. With unlimited disk space and monthly transfer, there's more than enough space to build something small. The fact that this package allows for just two MySQL and PostgreSQL databases and room for just two websites on the account does hamper growth a little, though. If you need to integrate your social media into your site from InMotion, Facebook, Twitter, and other widgets are available. Packed with high-level extras you'll get from few other providers and serving up a very generous $150 in advertising credits, this is an attractive package for anyone looking to set up just one small site. With unlimited SPAM-safe email and business-class hardware support, you'll be getting a lot of bang for your buck. You will need to upgrade if you want your hosting to be Ecommerce-ready. Crammed with everything Launch offers, and more. Power is e-commerce-ready, but still lacks Pro-level support. Included with this plan are $150 in free advertising credits, while your website allowance rises to six and your MySQL & PostgreSQL Databases go up to 50. At about $2-a-month more than the Launch plan, this is good value. Pro-level customer support is one of the very best features of this higher-end package. For more ambitious organizations, access to unlimited websites and unlimited MySQL and PostgreSQL databases provide more room for growth. InMotion is one of the best hosts out there when it comes to uptime and page loading speeds. The unique selling point of InMotion’s technology is its solid-state drives (SSD) hosting feature. Unlike traditional drives, they work without the physical limitations of spinning hard disks, and the restrictions these place on speed and power. SSD hosting on a fast network has no restrictions whatsoever, and InMotion uses a network with a 1Gbps network speed, making it incredibly fast. Alongside free data backups, which many other companies charge extra for, InMotion also leads the industry with their 90-day, money-back guarantee. All InMotion subscriptions enable Max Speed Zones and easy Google Apps integration, and it utilizes business-class hardware across all its websites. InMotion is not the cheapest provider on the web, but it does provide top quality hosting regardless. With outstanding services, freebies, and extras, users will get a lot more for their money with InMotion plans. The pricing schedule below reflects the basic monthly hosting rates from the InMotion website at the time of my review; introductory rates are not included. I recommend checking with them for current pricing deals and promotions. Boasting over 400 easy-to-install applications (including WordPress, Drupal, and Joomla) via the intuitive control panel, InMotion offers one of the largest and most varied selection of tools and services provided by a Web host. With a clean, clear and simple control panel (used to help you manage your website behind the scenes), this is a flexible host you can get started with quickly. For the more technically-curious, I like that the host supports the popular LAMP stack (Linux, operating system, Apache server, MySQL database, and PHP programming language). This gives you the power to use InMotion your way – whatever your level of expertise may be. The InMotion hosting webmail login gives you access to your site’s communication from anywhere, even your smartphone. If you are like me and constantly on the go, you’ll appreciate being able to check your InMotion email on the fly from a tablet or other hand-held device. The InMotion website builder is a premium platform that helps newbies and pros alike put together a smart-looking site. It includes all the features you could think of: e-commerce options, over 500 themes, one-click installations of OpenCart and Prestashop with 275+ dynamic e-commerce features, and more. This is a host full of useful functions and with InMotion, domain transfers are easy. The majority of these features come as part and parcel of your particular package. A few may incur extra costs, but an impressive number are available as standard. There are five different ways for customers to access 24/7 InMotion support: telephone, live chat, email, online tutorials, and a community forum. It's easy to get in touch with someone who can help you at InMotion, but one of the best parts of their service is how competent the staff is. With a minimum of 160 hours of training, and experts with an average 10 years' experience on hand to help with more difficult situations, InMotion hosting support is on par with the best in the industry. The company provides an awful lot of cutting-edge software and technology. Users have the ability to easily manage it all with the InMotion cPanel. New users can view a cPanel demo page to learn more about the industry standard control panel. I was able to build forums and discussion boards, view detailed site statistics and error logs, and adjust my email settings—all from the intuitively organized cPanel home screen. 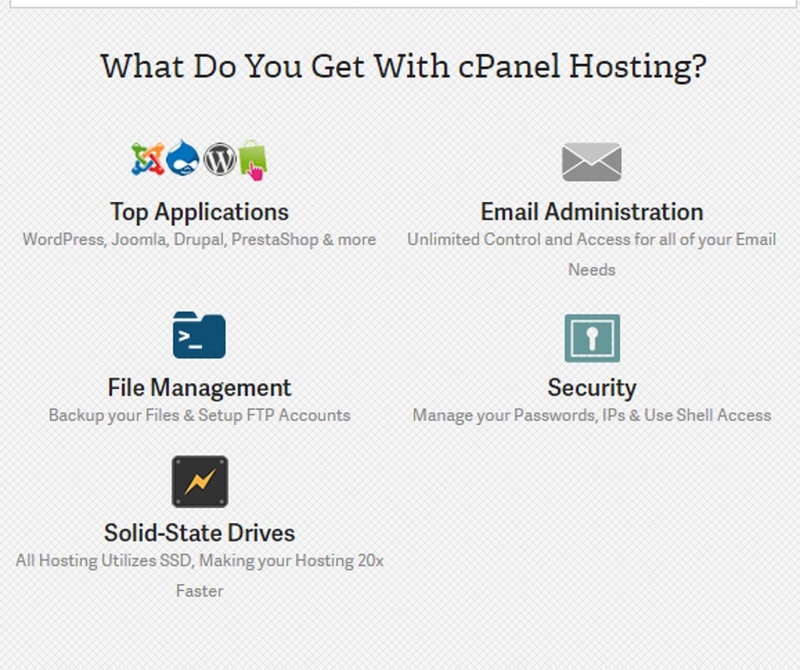 The company even offers free cPanel set up with all one- and two-year hosting plans. For users requiring more flexibility, scalability, and reliability, InMotion VPS hosting is certainly worth a look. The company includes free server management, solid-state drives, and a cPanel license with every VPS plan. VPS hosting plans are also packed with powerful features such as an advanced firewall, SSH access, unlimited MySQL databases, and reseller access. With three different levels of VPS, InMotion can help you better manage projects, grow your e-commerce business, or even set up wiki pages for group collaboration. One thing that really stands out to me is how well-received the company’s support was in the InMotion VPS reviews that I have read. I recommend contacting them if you have any questions at all. With a commitment to open-source software, an organizational investment in emerging technologies and over a dozen years of CNET certification, you might think that InMotion is more focused on advanced hosting options like VPS and dedicated servers at the expense of the shared hosting customer. That is not the case, however. In fact, InMotion’s shared hosting customers benefit from the efforts that the company puts into its other platforms. You can take advantage of the same software, technology, and industry certification—all for a fantastic monthly rate. The investment in technology really shows its worth with InMotion dedicated hosting. Completely installed with the most up-to-date software components of the LAMP stack, the company offers multiple plans for both business-class and commercial-class dedicated hosting. Every plan includes hyper-fast solid-state drives, 99.999 percent uptime via Smart Routing, cPanel controls, and proactive monitoring. I could go into more specific technical detail; however, that is probably best left to InMotion’s dedicated hosting support staff. Yes, the dedicated hosting service has its own team of experts, specifically trained on its dedicated service. Cloud hosting is a great method of providing security through redundancy. Interested users, though, will not find any InMotion cloud hosting. The company’s dedicated hosting does incorporate Smart Routing technology that can mimic some aspects of cloud hosting. Although the dedicated price is much higher than typical cloud plans and all of the benefits of the cloud are not enjoyed. The InMotion hosting email setup for all of the company’s plans is the same. I like that customers do not have to choose a plan based on email features. Users receive unlimited SPAM Safe email accounts with every hosting package that they can access with the same InMotion login. All email accounts are run through the IMAP application which means that your InMotionhosting webmail can be accessed from anywhere with an internet connection, even hand-held devices. InMotion is not going to sell a plan simply because of its email features. However, in an apples-to-apples comparison, InMotion’s technology is complemented by its email options, which may push the needle when making your decision on hosting providers. InMotion is a really refreshing Web host for anyone seeking a provider which really knows its stuff. With customer support that actually makes a difference (consider upgrading to premium support if you want to invest in even better service,) InMotion takes a lot of the guesswork and uncertainty out of Web hosting. This is not the cheapest hosting service online and, if you're looking for something simple which “does what it says on the tin” you may want to try a less high-end service. A bargain for the price, high-tech InMotion offers a lot for your money – including fast, stable solid-state drives, and one-click installation. Explore their services and plans online to find out even more.